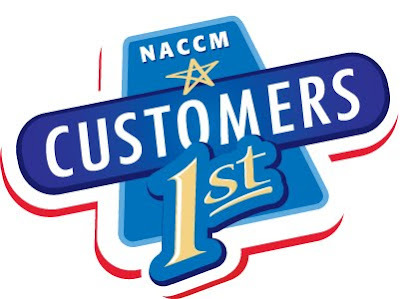 We hope that you’ll be joining us next week in sunny Phoenix for the 2009 NACCM Customer 1st event. We’ll be LIVE on-site as we blog, Tweet and record all that NACCM has to offer. Check below for a glimpse of what’s in store for us next week. ‘ 40+ insightful presenters focused on delivering real world case studies showcasing new innovative approaches for delivering customer-centricity. ‘ 7 Exciting new keynote sessions: fresh sources of motivation and inspiration to help you make an impact. Keynote themes include Authentic Leadership, CCO Perspectives, WOW Experiences, Customer Trends, Human Factors, Customer Service and more! ‘ More networking activities than ever – including a Mexican Fiesta Dinner, Wild West Party and dinners with peers around the resort to ensure you’re making the right connections and getting the right face-time with your industry counterparts. ‘ New Programs added to ensure your investment delivers the value you need and expect… including the ROA (Return on Attendance) tool, event mentorship program, post-event executive summary and participant key takeaways report. ‘ Outdoor sessions and activities bringing the insights and knowledge sharing into an open-air environment. ‘ Event Concierge offering personalized attention aimed at helping you with all your planning needs. We encourage you to check out Curtis Silver’s piece in Wired magazine in which he discusses the evolution of viral marketing and how it met with social media. Silver writes, viral marketing ‘ the technique of wrangling word-of-mouth to create a buzz around your product or idea ‘ has been a powerful tool since the first caveman started the first rumor. Spreading the word person to person is the stuff of Avon dreams ‘ and Bernie Madoff nightmares. And it requires the confidence to lose control of the message by setting it adrift. He discusses 2002′s BMW short film series, The Hire and how Mystery Science Theater 3000 played an integral part in the latter stages of “traditional” viral marketing. I came across this interesting thread on the UK Business Labs Forum in which a business owner was thinking about switching their online and phone service for customer service to strictly online only, eliminating the phone element. Many customers though still feel the need to physically speak to representatives on the phone right off the bat and when things aren’t being explained well online through instant messaging. Do you think this is a wise decision to remove phone service from their customer service initiatives? Below is an excerpt from our LinkedIn announcement sent today. If you’ve not already joined us on LinkedIn, we encourage you to do so! Would you like to be more involved in TMRE 2010? Feel free to contact Krista Vazquez, Conference Director, kvazquez@iirusa.com for more information about speaking, Jon Saxe, Business Development Manager, at jsaxe@iirusa.com for Sponsorship and Exhibition Opportunities, Anastasia Ioannou, Senior Marketing Manager, at aioannou@iirusa.com for Media or Marketing Partnership Opportunities; and Kim Rivielle, Managing Director, krivielle@iirusa.com for strategic partnerships and new ideas. Registration is now open for the 2010 The Market Research Event. You can register here http://bit.ly/3WwqtX and use priority code TMRE2010LINK. Keep up with the latest information on TMRE 2010 right here at the TMRE LinkedIn group, or on Twitter @TMRE. With SPSS text analytics, you can read documents, blogs, wikis, tweets, e-mails, call center notes, surveys and other free form text ‘ and turn the insight you gain into a true strategic asset. We’ll show you how to use text analytics with social media and other Web 2.0 sites to understand trends, and what your customers want, and how they’ll behave. We’ll demonstrate using text analytics in modeling to make your models better, and how to use automatic translation from more than 30 languages to make sense of your global customer base. I came across this article in WebProNews that discusses that the world’s largest exchange company has launched a social networking community called “NASDAQ Community“. The aim of this group, according to NASDAQ EVP John Jacobs, is to promote market transparency and investor education among people in the financial sector with shared interests. Members of the community are able to create profiles, ask questions on discussion boards and rate and review stocks. Your customers are talking about you, and you can gain a genuine advantage by knowing what they are saying. Attend this webinar and learn how you can ‘listen in’ ‘ and act on the information to gain a competitive edge. - Use the information to get a better understanding of your customers, your products, and your competitors. models that can inform decision making. Utalkmarketing.com reports today that Google has launched Social Search facility that enables users to discover publicly available web content from their social circle online. Currently still in its experimental stage, when using Social Search users will sometimes see a special set of “Results from people in your social circle” towards the bottom of the results page. These social results include relevant websites, blogs, status updates, and other publicly-available content from users’ online friends and contacts. As a social networking user, will this help you find relevant content online? Or, are you able to find said content easily on Facebook, Twitter and YouTube?